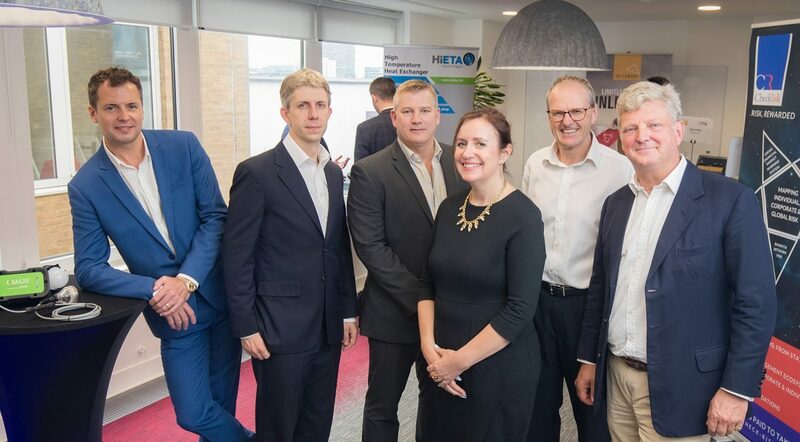 Five innovative UK high-tech scale-up companies got the opportunity to pitch for investment at the inaugural Scale-Up Investor Breakfast Briefing event, hosted by SETsquared, in London’s Pall Mall on 3 October. SETsquared launched its Scale-Up Programme earlier in 2018, which is set to support 240 innovative SMEs over the next three years. It helps scaling companies access R&D grants with SETsquared university partners, as well as raise investment, generate new customers and recruit new talent. To date, more than £100m has been raised by companies at previous SETsquared investor events, with this being the first focused on highlighting high-growth UK scale-up companies to investors. CheckRisk – a risk tech company, with significant proprietary IP developed with the Universities of Bath and Bristol, which is already a trusted provider of risk services to over £70bn of risk assets globally. Greengage – developer of a patented LED lighting solution with already over 2,000 installations, which adjusts light wavelength to improve livestock productivity, environment and welfare. Hieta Technologies– manufacturer of weight and cost-reducing engineering components that use innovative 3D printing and additive manufacturing processes. Rezcomm – a digital e-commerce, reservations and CRM platform, currently used in over 25 airports in UK and Europe, which helps airports to maximise their traveller revenue across all stages of their journey. YellowDog – who enable businesses to do more and create more by helping them to unlock greater computing power through cloud computing.